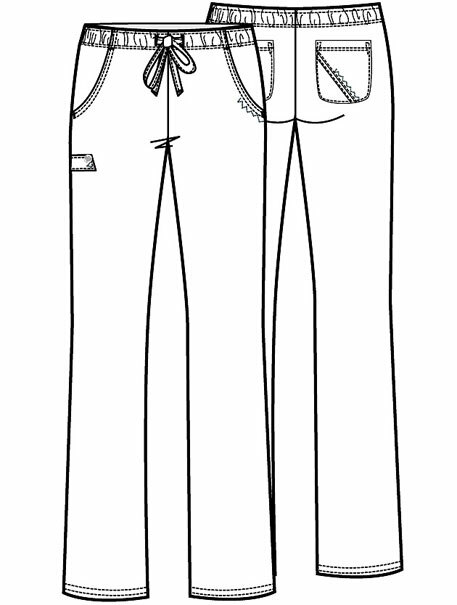 A functional drawstring pant with all around elastic waist, two side front slash pockets, and two back pockets. 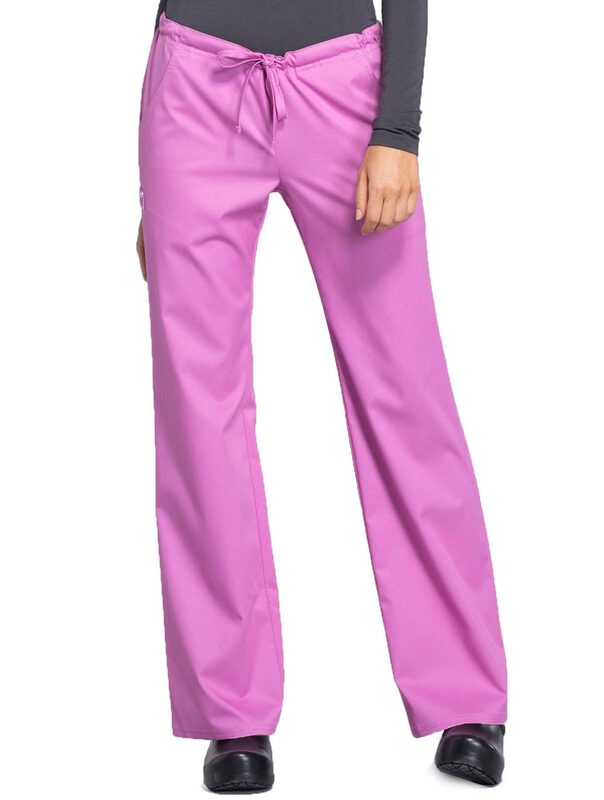 Right back pocket has multiple pin tucks and a tonal color zig zag design. Inseam measures 31"